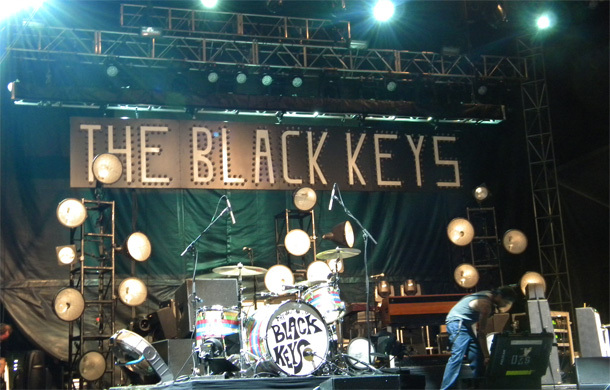 The Black Keys tore the roof off the Big Apple this past weekend on Randall’s Island. No roof to begin with you say? That’s because they were prepared for the scorching riffs of Dan Auerbach, potent enough to strip the paint right off that El Camino. With neither flashy props, nor pyrotechnics, and little to say from the ‘Keys front man, these old school rockers got right down to brass tacks, quickly filling the air of anticipation with electrifying presence and high‐octane distortion to boot. The Black Keys have truly come into their own, sitting atop mainstream blues and garage rock, thrusting the genre into the spotlight it deserves. This rock duo propels the old adage, ‘it takes two baby,’ to new meaning. With one Fender and a set of Ludwig drums, Dan and Patrick crank out as much energy as any four‐piece around, if not more. Now that’s high voltage rock ‘n roll. The set opened with a howl in “Howlin’ for You,” followed by another recent hit on Brothers. The ‘Keys then got right to their new material on El Camino, with hits like “Gold on the Ceiling.” They did a nice job, however, at sprinkling in tastes of the albums that started it all, playing fan favorites “Your Touch” and “Girl is on my Mind.” Dan blew the crowd away with the well‐crafted transition from gentle acoustic to gritty Dobro, in his solo during the outro to “Little Black Submarines,” off the new album. 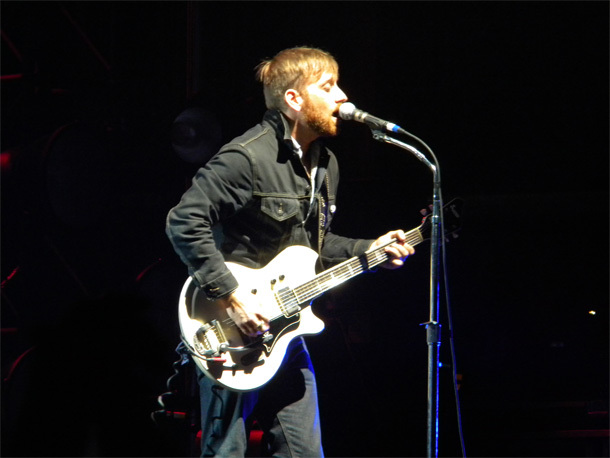 To close out the show, The Black Keys performed a new must‐play at their live shows to the tune of “Lonely Boy.” This song is sure to stimulate any crowd, getting fans to shake it like that guy in the video. For those yet to see the music video, you’ll need to refresh that browser and get on it. Capping it all off was a favorite off Attack and Release, “I Got Mine,” throughout which a large sign was lowered, spelling out ‘The Black Keys,’ blindingly illuminated by its high wattage bulbs. Needless to say, these Ohio natives know how to put on a show. They left it all on the stage this past Saturday, and truth be told, Randall’s Island may never sit quite the same. The Black Keys rocked the foundations and scared off the rain, for what is sure to be the talk of the town, a festival not to be forgotten anytime soon. If you like the Black Keys you should check out Tyler Bryant & the Shakedown. Super similar and super sick!